The free Fix File Encoding extension prevents Visual Studio 2019/2017/2015 from adding BOM to UTF-8 files. 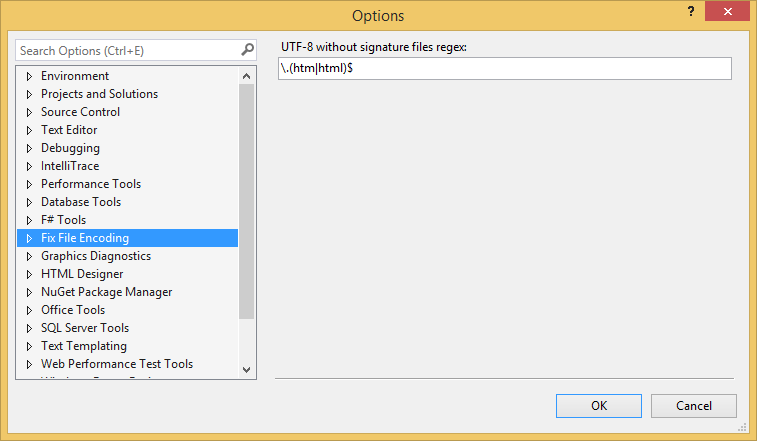 Fix File Encoding automatically detects when a UTF-8 file is opened in Visual Studio and sets its encoding to UTF-8 without signature. If you don't edit the file, it remains unmodified. If you edit the file, it will be saved without the BOM. Protect all files: empty regex box.